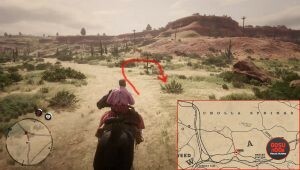 Horse reviver is an item in Red Dead Online. It’s a horse care product, a medicine that’s used to resurrect your horse after it’s been shot down. Instead of waiting a while to have it recuperate on its own, you can feed your mount this magical elixir, and it’ll be ready to gallop across the prairie in an instant. The problem with it is that it’s pretty expensive – a single use bottle costs $9.50. However, there’s a glitch that allows you to get infinite horse reviver for free in Red Dead Online. First you’ll need to go to a particular spot. It’s a ranch in New Austin, in the Cholla Springs region, northeast of Tumbleweed. Once you’re there, look for a barn. 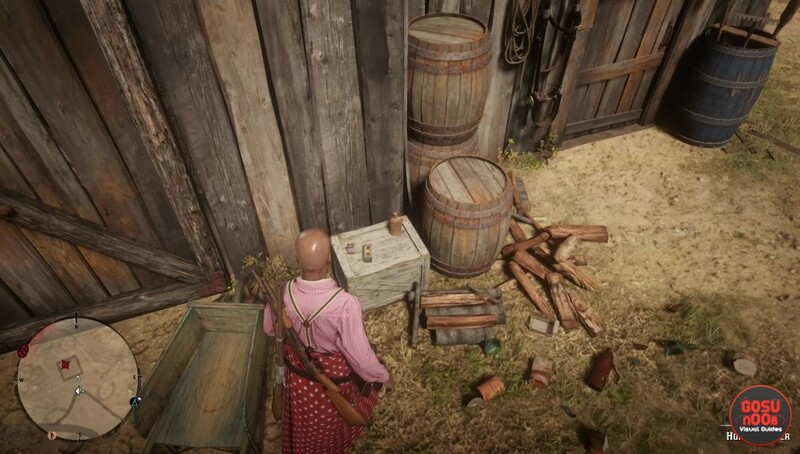 There will be a crate with a couple of items on it next to the barn’s door. One of those items will be a horse reviver. Grab it. Now normally, items will respawn after a certain period of time. In order to farm an item from a single location, you’d have to hop servers, which takes a while and makes farming quite unpleasant. However, there’s a bug here that respawns the horse reviver when you ride away for a bit – and that bit is pretty short. You can’t sell the tonic, but you can save money by getting it for free. If you want to know how to get rich quick, you should check out our how to make money guide.